Compact multi-function digital power monitor. Tracks several key electrical parameters in 3 phase 4 wire and 3 phase 3 wire setups. Setup your primary/secondary external potential transformers (PT) or primary/secondary current transformer (CT) through the keypad or remotely using the RS-485 Modbus connection. 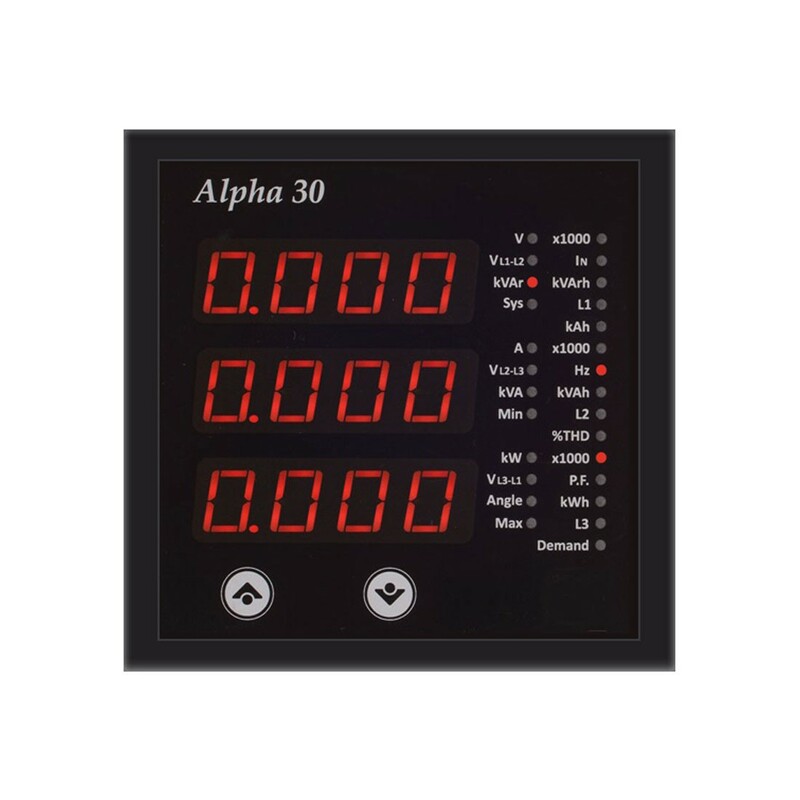 The display can be setup to auto scroll any of the three parameters and the meter can be programmed as a pulse output or limit switch depending on model selected.